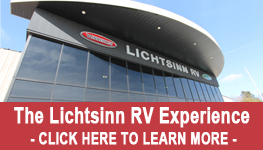 In this video, Ben Follman, an RVDA Master Certified Factory Trained Technician, walks us through what is involved in a Generator Oil Change at Lichtsinn RV. An RV Generator Oil Change is recommended: GAS: 20 hrs. initial, then 6 months/or 150 hours DIESEL:50 hrs. initial, then 6 months/or 250 hours.